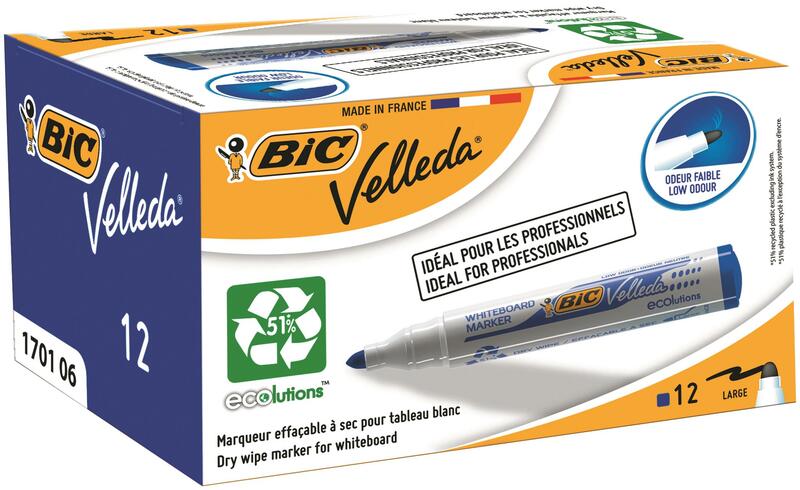 These Bic Velleda Whiteboard Markers feature ketone-based ink that glides on smoothly and erases just as easily, and is low odour to ensure comfort when writing extensively. It features a strong acrylic tip that will not bend or retract into the barrel, even with heavy use. 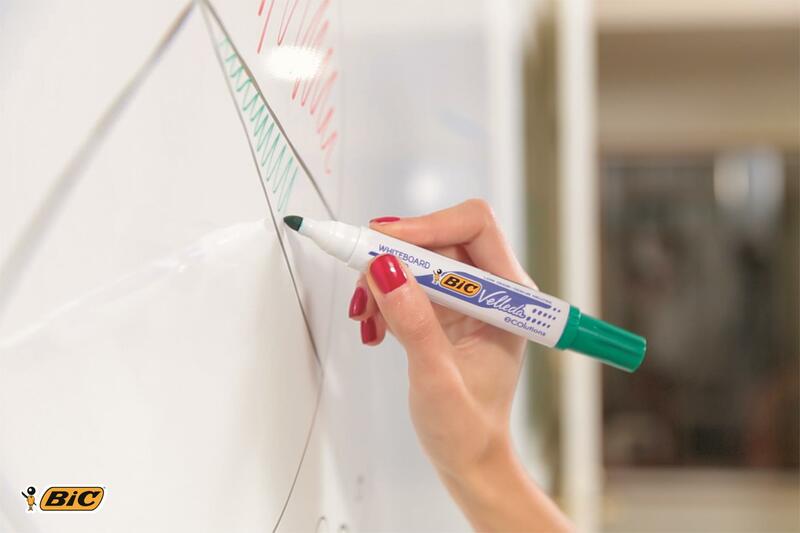 The bullet tip writes a consistent bold line for ease of use.